On Friday I was very sleep deprived. I am up at 5am every Friday morning for a 6am training session with the Brainy Betties. But, this particular week I was quite lazy when it came to getting to bed at a reasonable time. So, I obviously paid for it the next day. ***Sleep deprivation causes cravings for those of you who don’t know. Our bodies are looking for a quick source of energy to make up for what we are lacking. So, typically I will just have a little bit more starch than normal and it won’t be a big deal. I just accept the fact that this is the way it’s going to be, because it’s science. Unless you want to try and fight it (which sometimes you can), but if it’s extreme it will be just downright miserable. You have the option of just meeting yourself in the middle and making the best of the situation. ***Because many times this fighting it and making it miserable makes us lose control in the future-it can cause future binges. So, it just depends on the situation and whether it’s worth fighting/realistically possible to fight or not. So, this meeting myself in the middle is what I had to do this past Friday. But, to a more extreme degree. And sometimes this spiral can continue on for days until we break it. What you are eating isn’t just about when you are eating it, but also how it affects you later. Aka the insulin spike, which means more balanced blood sugar and less chance of future cravings. But, today mac and cheese popped into my head (because I wanted the fat and simple starch.) I seriously never buy that, but when your brain is that depleted, you will do things you don’t normally do. But, lucky for me, I have the tools to know how to minimize the damage and make the best of the situation. ***And this is what I teach the Brainy Betties to do in our Mindful Eating education and our Avoiding Overeating Education. So, first of all, I wanted to buy a version of mac and cheese that was more natural to minimize the chemicals (this is just to minimize the crappy feeling I would have if I ate a regular boxed mac and cheese.) So, I went to the store and bought the Aunie’s natural mac and cheese. Would I Have Eaten This Mac and Cheese if My Goal was to Lose Body Fat? Since I am happy with my level of body fat and I am in maintenance mode, I might have tried a little harder to fight the craving if I was trying to lose body fat. And if it wasn’t fightable, I would have been even more mindful of how much of it I ate. I also would have made sure I went for a walk to put that starch to good use. But!! You know what I actually would have done if I knew my goal was to lose body fat? I would have went to bed when I knew I should have. Versus staying up and reading stuff on the internet. Because I would have known that if I didn’t get enough sleep that this would happen and make it waaay harder for me to eat the way I want to. This is why it’s so important to not only have a good relationship with food, but also understand how different foods and food combinations work in your body (the physiology of food.) And how different outside factors in our life (like sleep deprivation, stress etc) affect those things as well. Because it’s going to. That’s just life. This is why diets and food rules don’t work in real life. 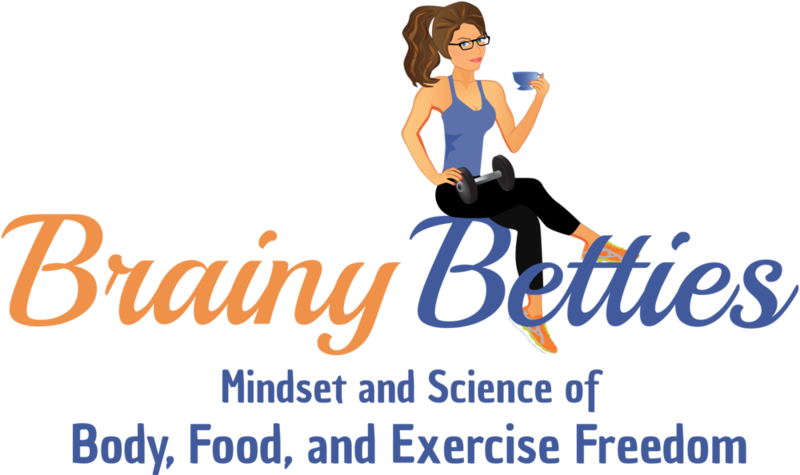 ***One of the reasons I created Brainy Betties-you can read about that here. Click Here is You Want to Learn How You Can Be Fit AND Happy in Real Life!